I didn’t have my camera outside with me very much last week; but I did catch an unusual and pretty sunrise. Saturday was a day for pig-work. The kind of pig-work that made me dread heading out the door. First, Pig-farmer and I moved the market/fat hogs from the north barn to the east barn. Then, we moved Mama Bernice from her farrowing pen to the north barn. We also brought Bert, the boar, to the east barn and loaded the market hogs onto the trailer. With livestock, you often only get one chance to get a task done. If it doesn’t go well the first time, the animals know you are up to something and will do their best to foil your plans. Tempers seem to be on edge before anything even happens. Slow and steady often wins the race, but sometimes you have to act quickly without a moment’s hesitation. Miracle of miracles, all the pig moving went well. Pig-farmer and I didn’t even yell – at each other or the pigs. We were still speaking to each other at lunch. We decided to not push our luck and castrate the male pigs that day. They didn’t seem to mind. This entry was posted in Berkshire Pigs, Country Living and tagged Berkshire pigs, Country life, Illinois, Pig-farmer, piglets, sunrise. Bookmark the permalink. I know! This litter really seems to have grown quickly. Maybe because there are “only” nine? It’s a small litter compared to the last one. I hate that job, too. Luckily for me, Pig-farmer’s dad is going to help with that nasty chore tomorrow!! I don’t have to! I love how they’re all piled over each other. Oh, yes! 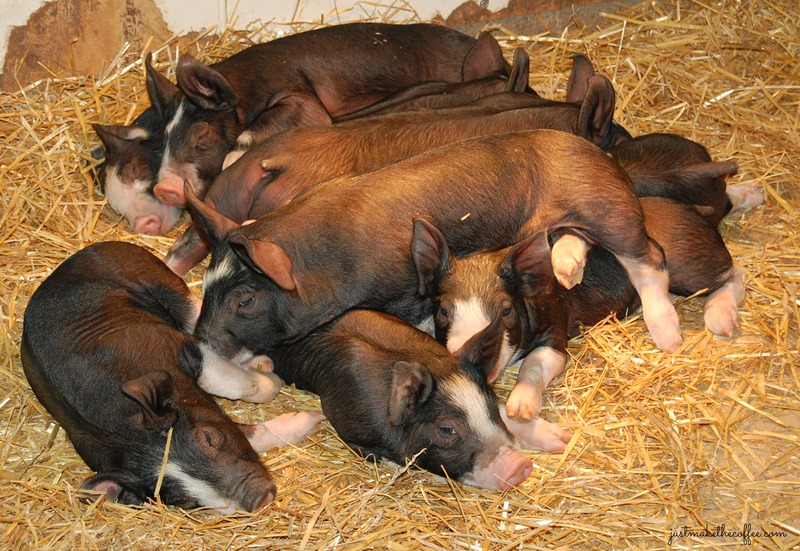 I remember those days…and pigs are very quick to figure out if you are up to something! It’s almost like their entertainment or a game to do the exact opposite of what we need! Thank you for stopping by and commenting! 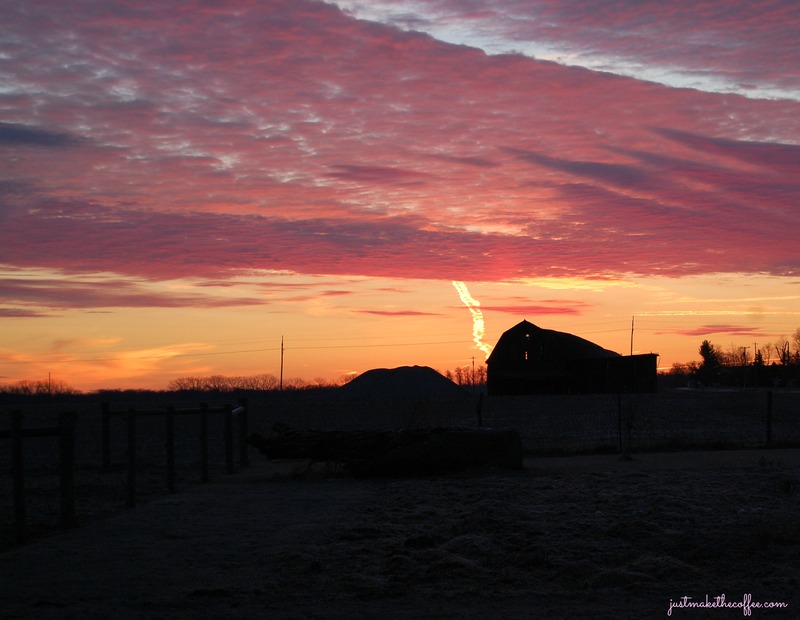 I photograph the sunrise often … and that one was special!